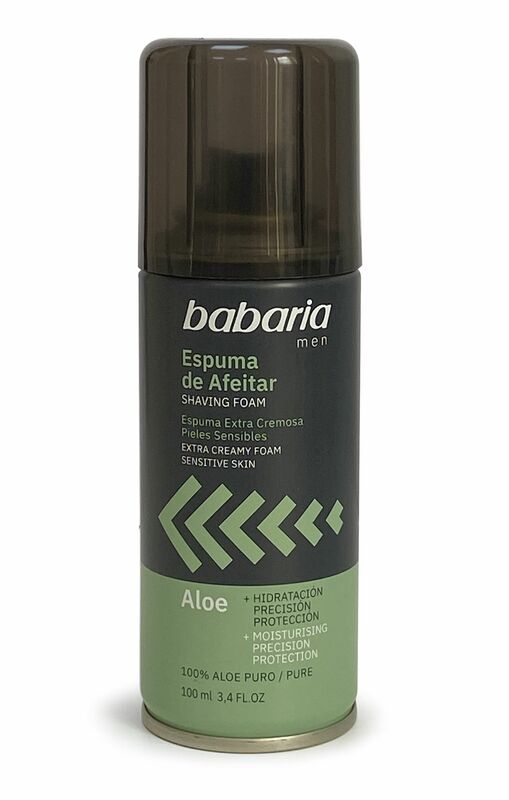 Rich extra creamy long lasting shaving foam from Babaria with Aloe Vera and Coconut Oil. Leaves your skin feeling fresh clean and moisturised. • An extra rich creamy shaving foam. • Aloe Vera and Coconut oil to keep your skin moisturised. Aqua(Water), Stearic Acid, Triethanolamine, Butane, Glycerin, Paraffinum Liquidum, Aloe Barbadensis Leaf Extract, Lanolin, Hydrogenated Coconut Oil, Allantoin, Parfum, Menthol, PEG-12 Dimethicone, Cocomidopropyl Betaine, Sodium Methylparaben, Propane, Isobutane, Sodium Chloride, Soduim Benzoate, Sodium Hydroxyde, Linalool, Benzyl Salicylate, Limonene.